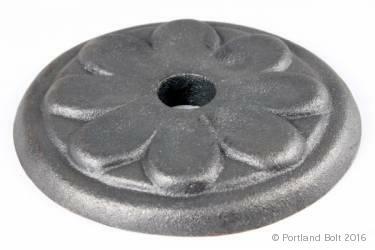 Rosette washers are domestically manufactured from cast iron and available both galvanized and plain finish. These decorative, oversized washers (6¼” outside diameter) have a large bearing surface used on exterior walls of brick or masonry buildings to provide structural reinforcement and prevent lateral bowing. 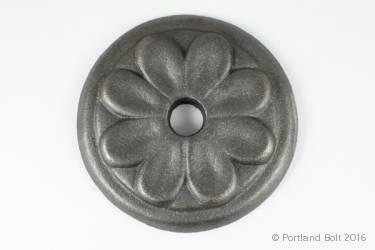 Rosette washers are ornate in design and are often found on historic buildings and are popular for restoration projects. 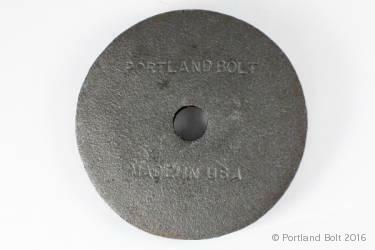 These washers are only manufactured for use with ¾” diameter bolts. Our inventory includes both plain and galvanized rosette washers ready for immediate shipment.